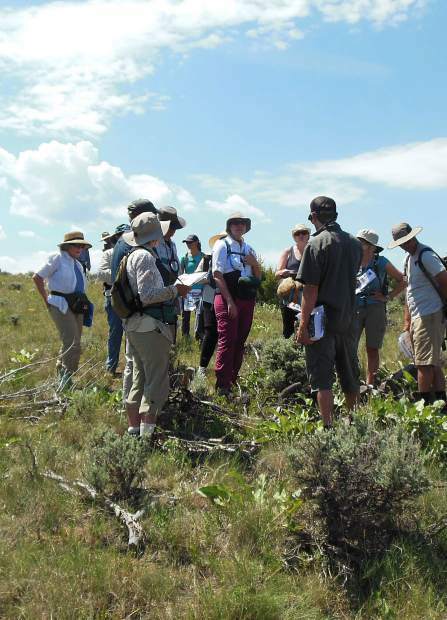 Eagle County Native Pant Master Program dives into grasses and common weeds found in the Eagle County. This class is designed for beginner botanists, and will focus on teaching key characteristics of grasses and weeds. We will also learn to identify traits of many common plant families. Identifying grasses is difficult, however, with some practice, participants in this course will learn how to use botanical terms and identify botanical features that will help them identify plant families and individual species in the field. This class will be held for three consecutive Thursdays in June starting June 15 and concluding June 29. Classes will be held in three different locations, the CSU Extension office, Duck Pond outside of Gypsum, and Walking Mountains Science Center in Avon. Classes run from 4 to 8 p.m., please make sure to dress appropriately and bring plenty of water and snacks as we will be outdoors looking at plants the entire class period. For more information is available or to register online, https://www.eveântbrite.com/e/eâagle-county-natâive-plant-masteâr-grasses-and-wâeeds-tickets-27â266219998.